Police, Fire, and Emergency Medical Services (EMS) personnel can lose precious time searching for an address because of confusing numbering or hard-to-read address signs. Such delays can result in the loss of property — and even lives. Marathon County provides 911 emergency services for ALL of the County’s 62 cities, villages, and towns. Central E911 Dispatch supports: A County-wide Sheriff’s Office, 14 Police Departments, 28 Fire Departments, 11 Ambulance Services, 3 Advanced Life Support Ground Services, 2 Advanced Life Support Helicopter Services. More than 20,000 local addresses will change in 2018 and 2019 when Marathon County eliminates its 10 existing address grids and implements a single Uniform Addressing System. 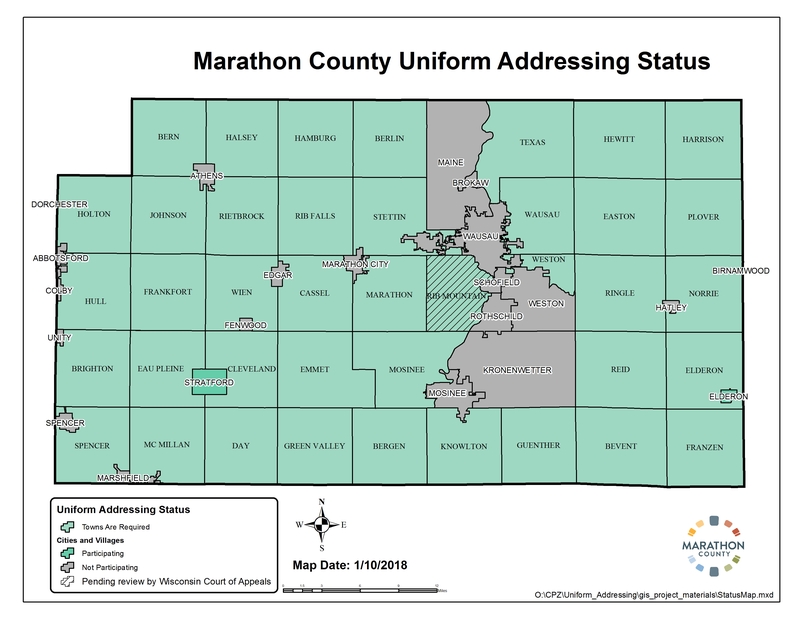 Marathon County is Wisconsin’s largest county geographically and one of only four counties in Wisconsin without a Uniform Addressing System for all roads, homes, businesses, farms, structures, or other establishments in the unincorporated areas of the County. Inconsistent and duplicate addressing creates challenges when there is a mutual aid response, as the responding department is not always aware of local inconsistencies — which can result in delayed response time. Charged with the goal of being the safest, healthiest, and most prosperous county in Wisconsin, the Marathon County Board voted in 2016 to implement a county-wide Uniform Addressing System to improve public safety by eliminating: Duplicate addresses, Roads with the same or similar names, Numbering that is not sequential, Odd and even numbers on the same side of the road. The goal of Uniform Addressing is to help emergency services in Marathon County provide the RIGHT SERVICE to the RIGHT PLACE at the RIGHT TIME. Stettin will have their new Uniform Address signs installed in spring/summer 2019. Business owners in these municipalities should continue to use their current address (for check re-ordering, etc.) until they receive an Official Notice of address change from the County in 2019. For safety reasons, new addresses cannot be released to the public before then. * Application of the Uniform Addressing System in the Town of Rib Mountain is currently on hold. NOTE: (1) The TOWNS of Marathon, Spencer, and Weston ARE participating in the Uniform Addressing project (but NOT the VILLAGES of Marathon City, Spencer, or Weston). (2) The TOWNS of Mosinee and Wausau ARE participating (but NOT the CITIES of Mosinee or Wausau). Click here to view a Uniform Addressing status map (enlarged). Marathon County’s current addressing system was built in the 1980s, when it was assumed that all calls to the Central E911 Dispatch would come from landline phones. Today, 70% of emergency calls in Marathon County come from cell phones, which cannot guarantee a precise location; only 30% come from traceable landline phones. What’s more, the Federal government now requires our Central E911 Dispatch to process, receive, and respond to new communication technologies, such as cell phones and social media. In the event that a cell phone caller or texter is a visitor to the area (or is simply unfamiliar with his or her exact location), reflective, double-sided Uniform Addressing signs that are visible day or night help callers (AND emergency services personnel) determine a precise location. Now is also an opportune time to implement a Uniform Addressing System since it can be synced with Marathon County’s multi-million–dollar investments in information technology to replace its outdated Land Records System and Computer-Aided Dispatch (law-enforcement software), bringing all three systems in line utilizing Uniform Addressing. The County’s addressing system is one of the core information systems that Geo Services of the Marathon County Conservation, Planning, & Zoning (CPZ) Department provides to the Marathon County Sheriff’s Communication Center. This center dispatches E911 calls to officers and is essential in providing a rapid response from Central Dispatch to emergency/incident scenes. As a result, the CPZ Department is organizing and overseeing the implementation of the county-wide Uniform Addressing project. Marathon County’s CPZ Department created all of the new 6-digit Uniform Addresses, as well as the proposed Uniform Addressing grid. They also analyzed all duplicate road names and determined which road names would be retained for each participating municipality and which roads would be renamed. Click here for a listing of all roads renamed in Marathon County as a result of this Uniform Addressing project (updated 2-14-18). Residents will NOT be charged for the new County-issued Uniform Address signs. Marathon County has committed funds to cover the cost of replacement road-name signs and address signs related to this Uniform Addressing project for participating towns and villages. We understand there may be extra costs for you to change your address, but the change is necessary in the interest of public safety. Please see the Address-Change Checklist—BUSINESS and Address-Change Checklist—RESIDENTIAL, as well as our Frequently Asked Questions, for tips to help make the address-change process easier. HOW do I know if my road name is changing? View the Road Name List (updated 2-14-2018) for a listing of road names (sorted by municipality) that were renamed due to the Uniform Addressing project. NOTE: The road-renaming part of the project is done; road names can no longer be changed. Local input on roads took place in April 2017. If you have concerns or questions about your road name, you may contact your local Town or Village official. WHEN will I get my new address? Marathon County’s CPZ Department will be mailing an Official Notice of new Uniform Addresses to residents, landowners, and business owners whose addresses will be changing. Official Notices will be mailed in a series of batches from March to November 2018, and resuming again in spring 2019. A few weeks before sign installation is projected to begin in a given village or town, Official Notices will be mailed, informing recipients of their new 6-digit address, as well as other details of the project. 1. DIGGERS HOTLINE will be contacted by Lange Enterprises and will spray-paint lines on your property to mark where it’s safe for them to install the signpost. 2. LANGE ENTERPRISES will install a new, blue, address sign on the side of your driveway. 3. After your sign is installed, you should use your NEW ADDRESS & begin notifying others of your address change. 1. LANGE ENTERPRISES will deliver to you a new, 6-digit, black-and-white address sign. 2. AFFIX YOUR NEW ADDRESS SIGN on your home or building as indicated. 3. Once Lange Enterprises delivers your new address sign, YOUR NEW ADDRESS IS ACTIVE and you should begin to USE YOUR NEW ADDRESS. NOTE: Be sure to keep your Official Notice for your records! You may need it later as proof of your address change. Installation/Delivery of new address signs began in Marathon County in spring 2018 and will be phased in by municipality over the course of many months. Address signs and any new road-name signs will be installed by Lange Enterprises, the County’s contractor. You do NOT need to be home when your address sign is installed or delivered. The project will be paused during the 2018–2019 winter months and will resume in spring 2019. Workers will also install new road-name signs, as needed. View the Road Name List (updated 2-14-2018) for a listing of road names (sorted by municipality) that were renamed due to the Uniform Addressing project. The Lange workers will try to stay on schedule for installing new address and road-name signs. However, if inclement weather or other unforseen circumstances arise, they may run behind our projected timeline. Please visit www.MyMarathonCountyAddress.org for schedule and project updates. For most homes (and some businesses) in participating municipalities, workers from Lange Enterprises will install a double-sided, flag-style address sign listing the municipality, the 6-digit property number, and the road name. If your business’s building is more than 75 feet from the roadway, workers from Lange Enterprises will install a blue, flag-style sign so that emergency services personnel and delivery drivers can quickly and easily find your address. A select number of residences (and some businesses) will receive a single-sided address sign, which will need to be affixed to your home/building so that emergency services personnel and delivery drivers can quickly and easily find your address. If your home or business receives a building-mounted Uniform Address sign, it has been determined that your structure is close enough to the road for a building-mounted Uniform Address sign to be visible. You will need to affix the provided address sign to your home/building yourself. We understand that businesses may have special needs or circumstances regarding Uniform Address signs and that there will be some cases where we’ll need to have some flexibility on ordinance specifics. We’re working with towns and individual sites to make these accommodations. Please visit MyMarathonCountyAddress.org for updates and further details as they become available. After you receive your Official Notice from Marathon County with your new Uniform Address, you do not need to take any action. The signal to start using (and notifying others) of your new address is AFTER your new address sign is installed/delivered — NOT when you receive the Official Notice informing you what your address will be changing to. Once your new Uniform Address sign has been installed or delivered to you, your new address is active and you should begin to use your new address and notify others. There are a number of methods you can use to begin to notify others of your address change. For example: Billing statements often have a check box and a space to print address changes on the reverse side of the bill; Online accounts (e.g., credit cards, auto bill pay, online shopping accounts) have an area under your account information where you can update your address and other contact information. 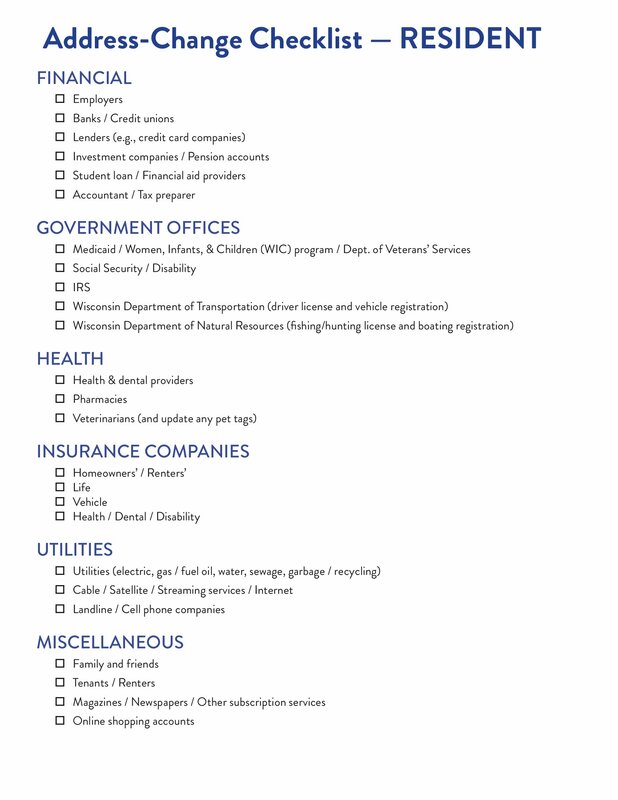 Marathon County has created a handy Address-Change Checklist to help residents keep track of some entities to notify of an address change. You can download a copy of the Address-Change Checklist—RESIDENTIAL here. Marathon County will take care of notifying the following entities of all address changes (so you do NOT have to): Marathon County E911 Communication Center, Local Fire and Police Departments, Municipal officials, Marathon County Clerk (elections), Marathon County Treasurer (tax bills), Other Marathon County governmental departments, United States Postal Service. Marathon County will coordinate directly with the United States Postal Service (USPS) during this Uniform Addressing project to update their records for all new addresses. Residents and businesses who receive a new Uniform Address will NOT have to file a change of address with the USPS. You will automatically receive one (1) year of free address forwarding (from the date of sign installation/delivery) courtesy of the USPS. You do NOT need to get a new driver license unless you have a commercial driver license (CDL). If you have a CDL, you ARE required to obtain a driver license with your new address on it. 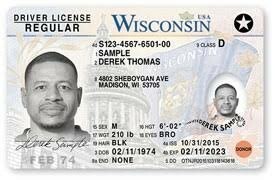 ALL drivers with a new address MUST update their address ONLINE through the Department of Motor Vehicles (DMV) website at http://wisconsindot.gov/Pages/online-srvcs/change-addy. Optionally, if you want your new address to appear on your non-CDL driver license, you will need to pay $14 to obtain a duplicate license with the updated address. Instructions for doing this can be found on the DMV website at http://wisconsindot.gov/Pages/dmv/license-drvs/rnew-and-chge/change-address.aspx. You do NOT need to update your current passport with your new address. However, if you have a passport application currently in process and you would like to change your mailing address, visit https://travel.state.gov. 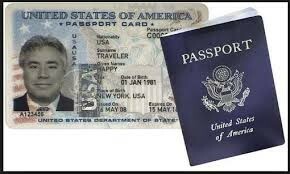 In the U.S. Department of State, responsibility for issuing passports lies with Passport Services within the Bureau of Consular Affairs. How you let your clients, customers, or others know that your business address has changed will depend on the nature of your business. We invite you to see the Address-Change Checklist—BUSINESS and Frequently Asked Questions for tips and ideas that may help you with the address-change process. Depending on the type of business you have, clients/customers may contact you directly to update their address in your computer system. In most cases, however, you will need to update any new addresses yourself. Following each batched mailing of Official Notices, the County will post cross-reference spreadsheets of the old/new addresses for the next municipalities scheduled to have their address and road-name signs installed by County’s contractor, Lange Enterprises (available on the Maps page). These tables can be used to match former addresses to their corresponding new Uniform Addresses, allowing businesses to update the address changes in their customer databases or contact lists. Additional address cross-reference tables will be uploaded at intervals throughout the course of the project, matching the mailings of each batch of Official Notices. In addition, a new Search tool has been added at www.MyMarathonCountyAddress.org. Simply type a former street address in the blank and select “Search” to find its new (uniform) address counterpart. Please note: This Search tool only includes new addresses for properties that have already received an Official Notice of address change from the County. If you’re a business that can utilize address ranges (e.g., delivery drivers), you may download an Excel file for 15 participating Eastern towns and the Village of Elderon, as well as an Excel file for the 15 towns and the Village of Stratford in the Southwest quadrant of the County. In January and February 2018, the Wausau Region Chamber of Commerce hosted a pair of FREE programs for business owners regarding the Uniform Addressing project. Members of the Marathon County Conservation, Planning, & Zoning Department were available to answer business owners’ questions about the project. We invite you to watch the 6- and 9-minute videos below from one of these Chamber of Commerce events. Additional educational programming to assist residents and businesses with the Uniform Addressing transition may be offered by the Marathon County Conservation, Planning, & Zoning Department in the future. Please check back at MyMarathonCountyAddress.org for updates on other possible educational programs regarding the county-wide Uniform Addressing project. We’ve created a handy Address-Change Checklist to assist businesses with the updating process. It contains a sample (though not exhaustive) list of some people, accounts, and entities you’ll want to notify of your address change. Click here to download a printable version of the Address-Change Checklist—BUSINESS. Find answers to more specific questions at our Frequently Asked Questions (FAQ) page. We invite you to check back at MyMarathonCountyAddress.org often for project updates and details as they become available.